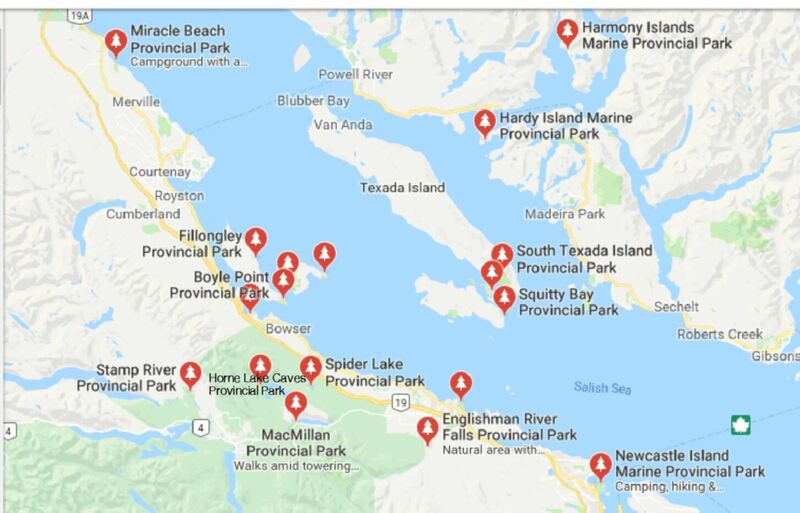 Rosewall Creek Provincial Park Park Map Here – Cycling, fishing, hiking, swimming and pets allowed on leash. I remember visiting here for the first time, it feels ancient and majestic. It was a misty day, I half expected knights to ride out of the mist because this place feels magical.